June 2014 – Damn, I Can Make That! Now that we’re in the thick of summer, who’s getting just a little tired of the usual corn on the cob? (*Raises both hands.) Don’t get me wrong, I will never turn down the classic summer food, but it’s high time we spice it up – literally. 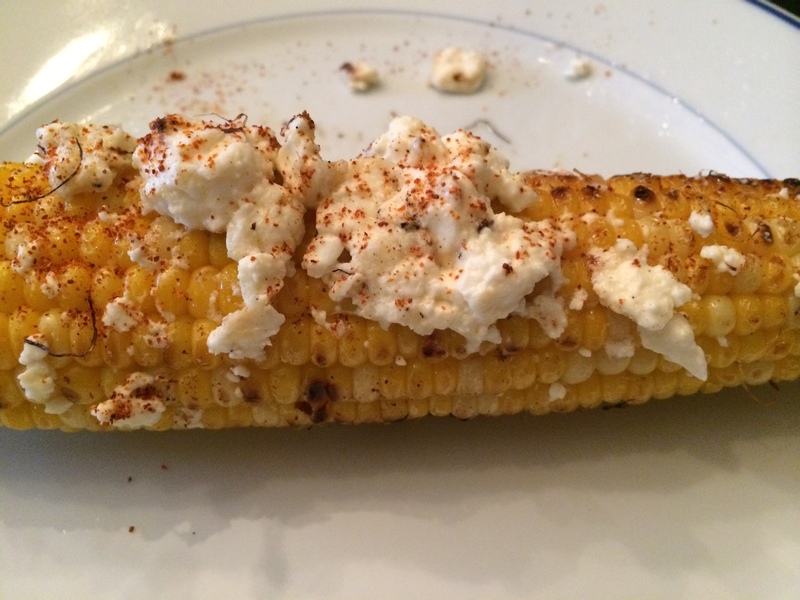 I had something similar to this corn on the cob at my favorite local restaurant, Bar Taco, and wanted to recreate it. I don’t know all of the spices they put on theirs, but I have to say this one turned out pretty darn close and still just as damn delish. Fire up the grill and get it good and hot (let it preheat for about 5 minutes on high). Put the corn directly on the hot grill, rotating every 5 minutes to get a nice char all around. In between rotating, squeeze lime juice on top. You shouldn’t need more than 15 minutes until it’s done. In the final minute spread the feta (or Contija) on top of the corn. This will melt the cheese a bit and get it to stick to the corn. Remove from the grill and sprinkle on the chili and cayenne pepper. Ok guys, it’s theme party time – everything red, white, and blue! I’m a total sucker for these kinds of parties and love creating new recipes for them. Usually I would do some kind of cupcake, but those are sooo last year. (Although, I’ll never rule them out completely. Cupcakes hold a special place in my heart. Cupcakes forever!) 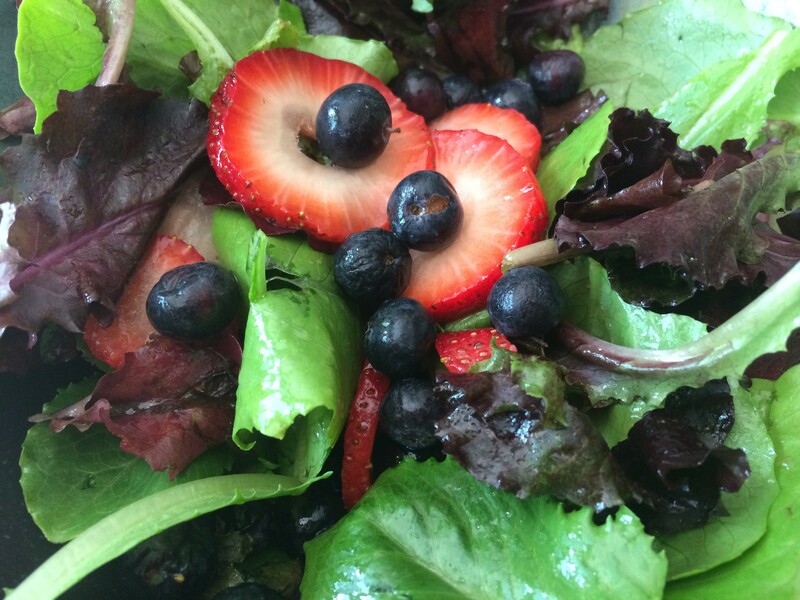 Anyway, rather than putting out a boring ol’ salad – lettuce, cucumbers, tomatoes – show some USA spirit with this fruity patriotic salad. 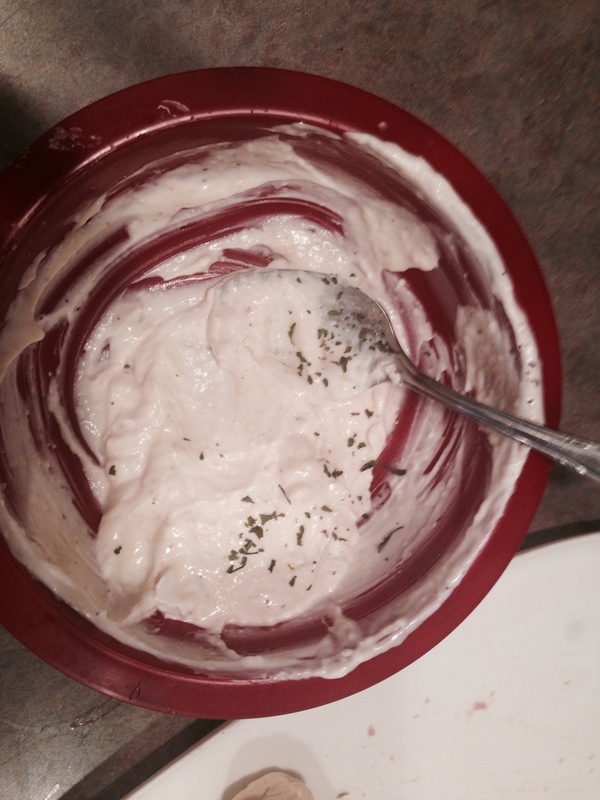 Toss the salad and mix the dressing separately. Pour the dressing on right before serving. Happy Eating (and Happy 4th of July! ), XO. The other day I was cleaning out my cabinets and I found a can of chick peas in the back. (Calm down, it was still well within the expiration date when I used it.) Anyway, I figured I should prob use it before I forgot about it again. I used half of the can to make our chic pea salad. And the other half I decided to roast as a yummy “pop-in-your-mouth” treat. Preheat the oven to 350. Drain and pat dry the chic peas, then toss in the olive oil. (Don’t try to use the liquid that’s in the chic pea can in lieu of the oil. 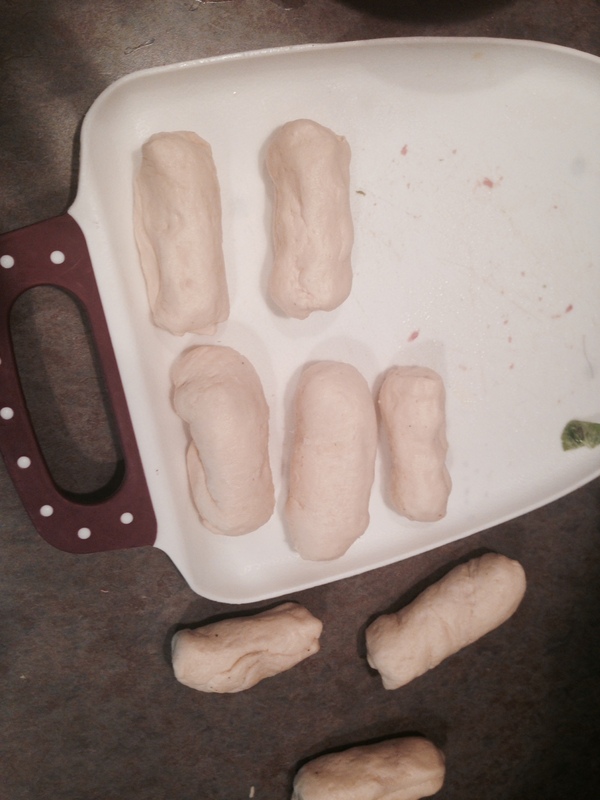 They’ll dry out in the oven if you do.) 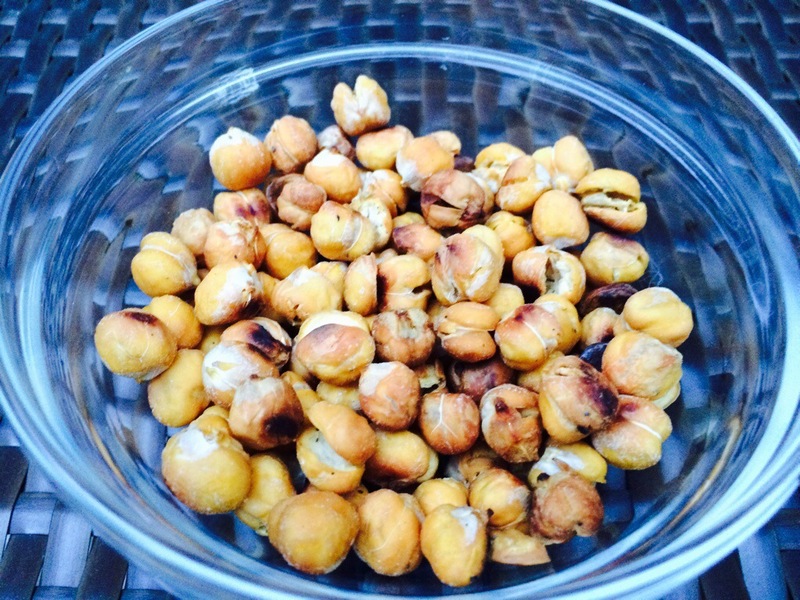 Spread the chic peas on a baking sheet and sprinkle with the salt and rosemary. 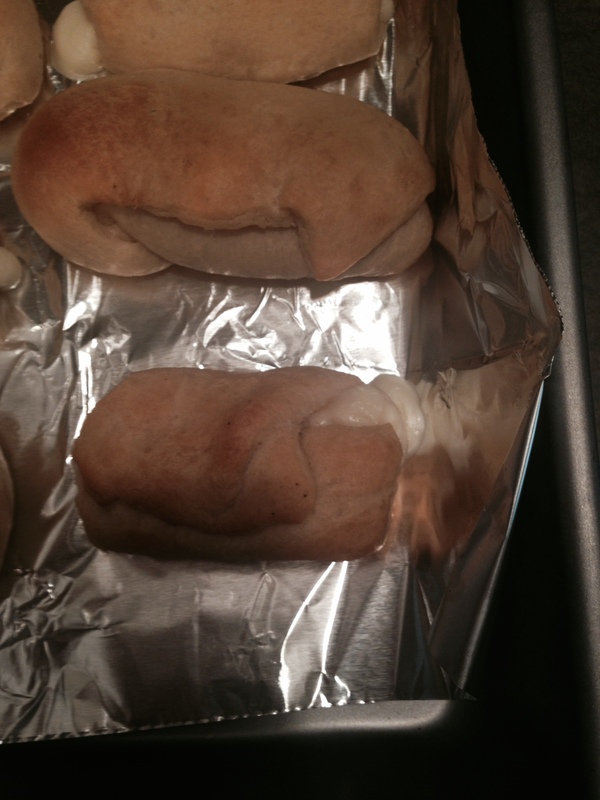 Bake for 30 minutes or until they look crispy and brown. 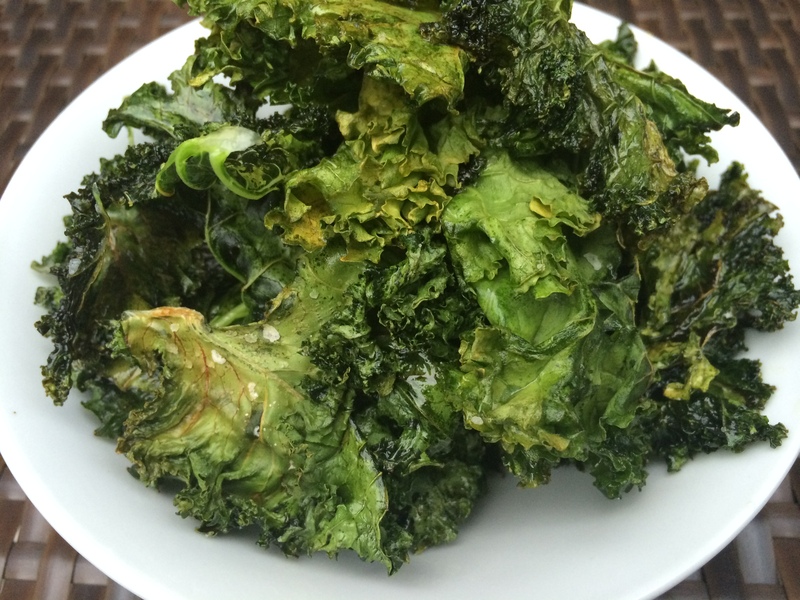 Over the weekend I had kale chips for the first time. I fully expected not to like them (bitter greens as chips? Palease). But, I loved them! (Surprisingly my husband did too. This is so far from normal for him, but they were THAT good.) Seeing that we both liked them so much, I of course wanted to make them myself and share the wealth with you lovely readers. So here they are! Preheat oven to 350 degrees. Toss kale in olive oil until fully covered, and spread out on a cookie sheet. Sprinkle with sea salt and bake for 10-15 minutes, or until edges of the leaves are brown.